Mahoney shared 6 magic words... "Have you ever thought about Rotary?" It was the question someone asked him and he encourages all members to ask them when we talk to members in our community. He has sponsored about 1 new member every year he has been in Rotary, which is a good goal for all Rotarians. Our District is the FASTEST growing district in the country and has the largest INTERACT membership. 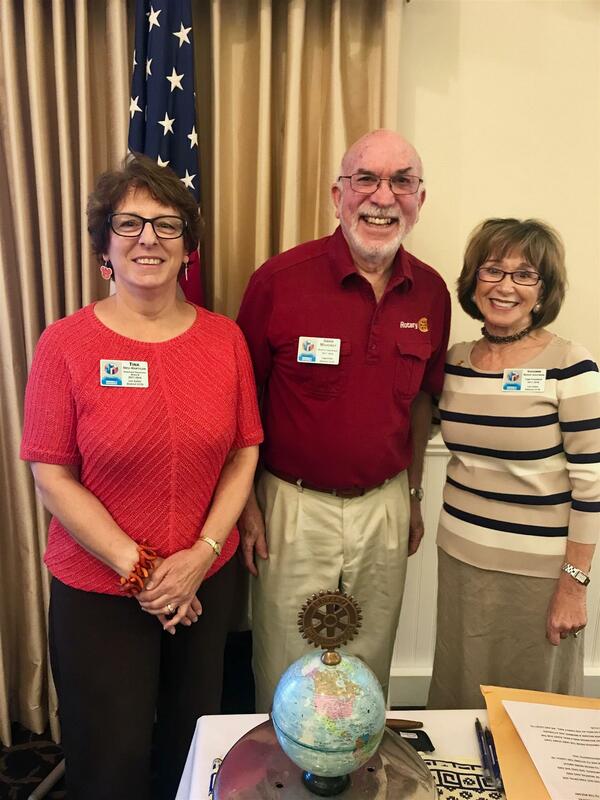 Mahoney shared his priority as this year as District Governor: The mission of Rotary District 5170 is to both INSPIRE and SUPPORT the clubs of the District through the use of multiple communication tools, training programs, motivating events, and supporting infrastructure. The top secret questions is where will the District conference be held June 2, 2018? Wait and see... it will be very exciting. 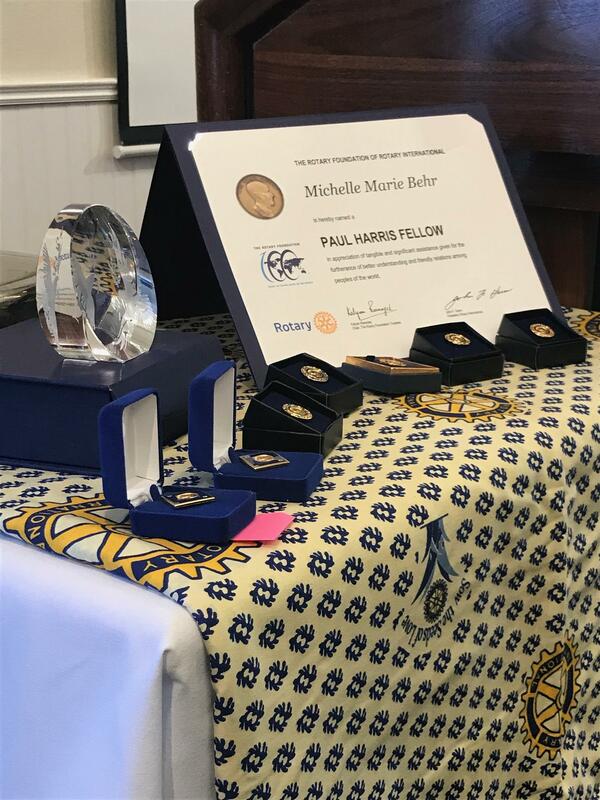 *45 members were recognized for their donation to the Rotary Foundation, including Avis who received a beautiful engraved crystal award for being a Level 2 Bequest Society Member. When a Rotarian gives more than $25,000 to the foundation. Rotary International thanks all of the generous donations from our club as they are essential to securing and growing Rotary's programs throughout the world.